Let's not deny it, we all love brunch. Whether it's a good old fashioned fry up or trendy avocado toast, a leisurely brunch with friends is the best way to kick off a weekend, and this couldn't be more accurate than in Paris. In recent years, Paris has jumped on the brunch bandwagon, with amazing spots popping up all over the capital. In fact, the Parisians love brunch so much that they've added the verb bruncher to their vocabulary, literally meaning 'to brunch', so it's basically compulsory for any Paris trip, right? Well, we think so anyway. Particularly at the weekends, it's impossible to walk far without spotting a cafe offering a brunch formule (set menu), or passing by another with a queue of Parisians spilling onto the street waiting for their morning eggs-and-coffee hit. Although there are countless great places to choose from, we've whittled it down to twelve ultimate brunch spots which we think offer something for everyone. Whether you're looking for a civilised restaurant meal, a quirky brunch on the Seine, a grab-and-go pastry, or something in between, Paris has it all. Vibe: Friendly and modern, with a relaxed atmosphere and great music. 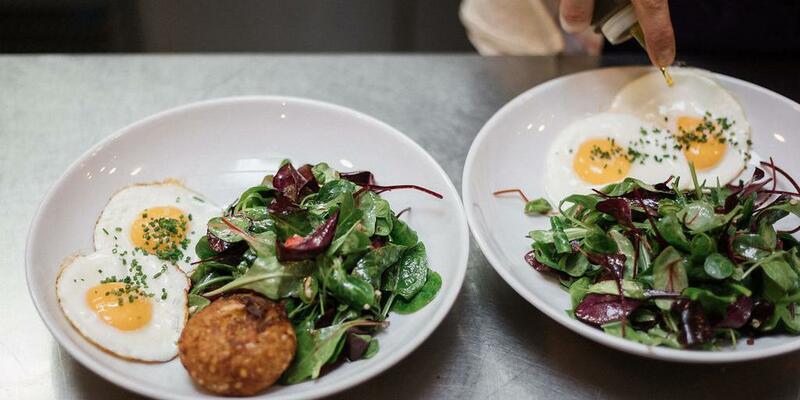 Located in the 10th arrondissement, Holybelly 5 is one of the most popular brunch spots in Paris. This Melbourne-style cafe focuses on delivering delicious food and great coffee with a smile, and has been doing so since 2013. The specials vary depending on local and seasonal ingredients, and sit happily alongside their regulars, including pancakes (€9 - €13.50), homemade granola (€8.50), and a range of eggs with added sides such as Holy baked beans and hash browns (eggs + two sides is €13.50). Opening times: Brunch is served daily from 9am to 4pm. Vibe: Something a bit different. 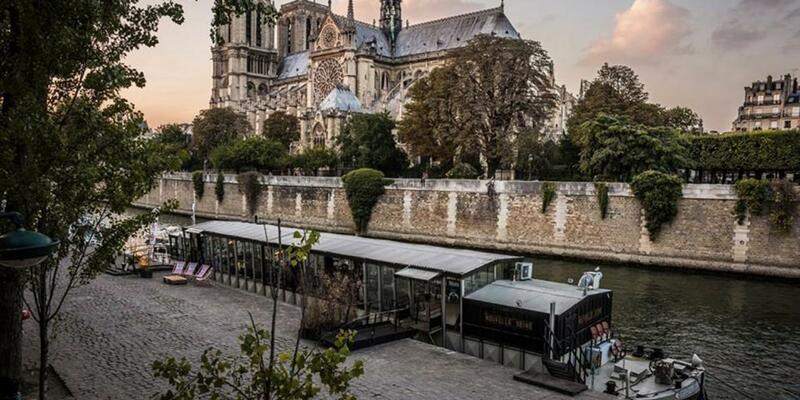 Floating on a barge on the River Seine, La Nouvelle Seine boasts dramatic views of the Notre Dame Cathedral towering over the water, offering a unique and exciting spot for brunch. For the set price of €28 (a little pricey, we know... but those views! ), you can soak up the scenery while enjoying pastries, fresh fruit, pancakes, eggs, bacon, and smoked salmon all washed down with fresh orange juice, tea, or coffee. Brunch is served on Sundays only and is really popular, so remember to make a reservation! Opening times: Brunch is served on Sundays from 12pm to 2.15pm. Vibe: Cosy, vintage feel with generous portions. 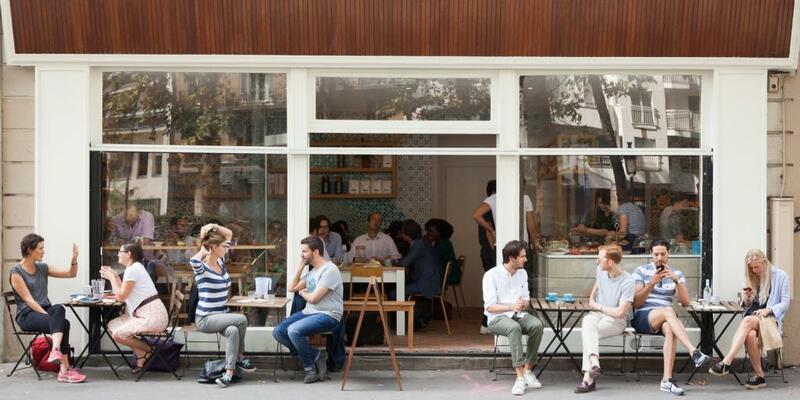 Close to the Pompidou Centre and the Picasso Museum, T'Cup is an English-inspired cafe located in the heart of the historic Le Marais neighbourhood. The space has been designed to feel like a tea room, creating a warm, vintage atmosphere in which to enjoy their huge selection of teas and homemade food. Brunch is served at the weekend as part of a €29 set menu, which sounds expensive but the amount of food you get is really generous, including two scones with jam, a hot and cold drink, a main dish, and a dessert. If you can't eat it all at once, ask to take the leftovers with you to snack on when you get peckish later. Opening times: Brunch is served from 10.30am to 4.30pm at weekends. 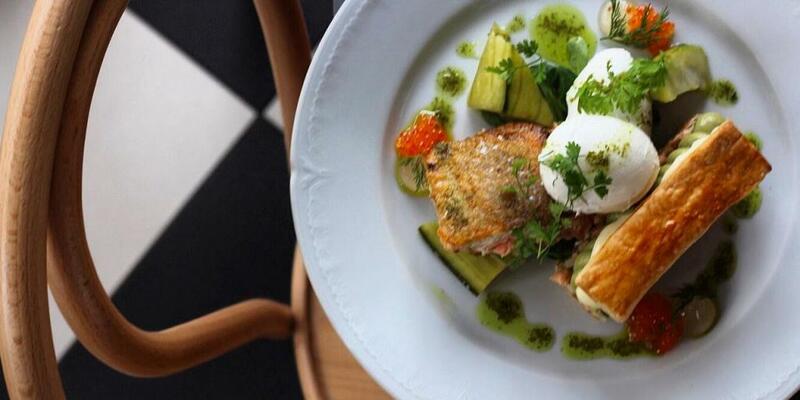 Look out over the Parisian rooftops as you brunch at this Montmartre cafe. 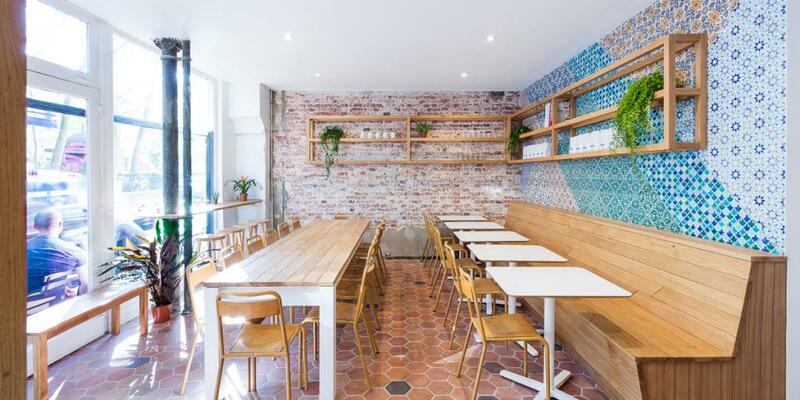 Nestled behind the Sacre Coeur, Hardware Société puts a fresh, Aussie spin on the classic French breakfast. 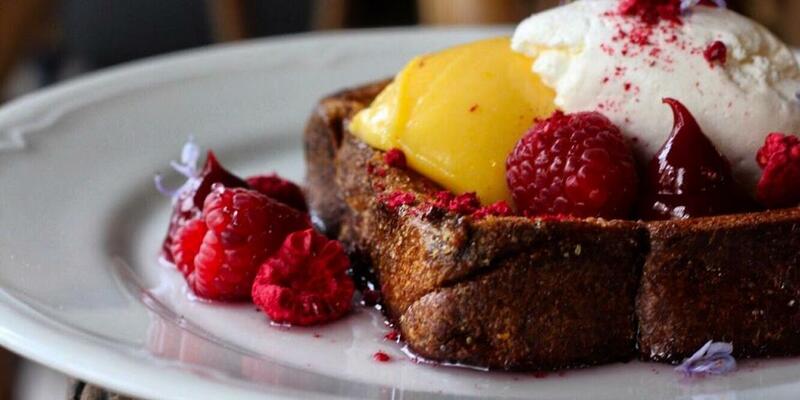 If you find yourself passing by at the weekend, their pain perdu (French toast) specials always offer unexpected flavours you're unlikely to find elsewhere. Think lavender cheesecake with roasted apricots and a pistachio and coconut crumble, or peanut butter panna cotta, blackberry compote, peanut brittle and fresh blackberries. If that doesn't tingle your taste buds, other options include egg dishes and pastries. Opening times: 9am to 4pm Monday, Thursday, Friday. 9.30am to 4.30pm Saturday and Sunday. Closed Tuesday and Wednesday. Vibe: A hint of luxury with a relaxed, jazzy atmosphere. Made up of Po-Boy Cafe downstairs and NOLA Restaurant upstairs overlooking the Canal Saint-Martin, Two Stories is exactly that - a tale of two amazing eateries. For brunch, NOLA Restaurant is your spot, serving up their take on New Orleans contemporary Cajun cuisine. Their dishes offer a decadent twist on the average French breakfast, including their pork cheek and Cajun sausage hash (€18.50), duck and waffles (€19.50), and steak and eggs (€25). As if it couldn't get any classier, live jazz music will accompany your brunch, whisking you away to Louisiana in the heart of Paris. Opening times: Brunch is served from 12.30pm to 4pm on Saturdays, and 11.30am to 4pm on Sundays. Vibe: Welcoming and unfussy, with a seasonal menu. Kozy Cafe has three locations in Paris, but head to the site on Avenue Bosquet to be a short walk from the Eiffel Tower. The cafe is small, living up to its name, and a welcoming spot to enjoy brunch at the weekends. They offer a set menu for €23 which includes a light dish to start (granola, fruit pancakes, or fruit salad), a main dish (including eggs Benedict and avocado toast), a hot drink, and a fresh juice or smoothie. You can also order your favourite brunch dish without having the set menu; a cheaper option with dishes priced between €6 and €14. This spot loves to embrace seasonal ingredients, so the menu changes frequently, but is always delicious. Opening times: Brunch is served from 9am to 3pm at weekends. Vibe: A fun and quirky taste of Japan. 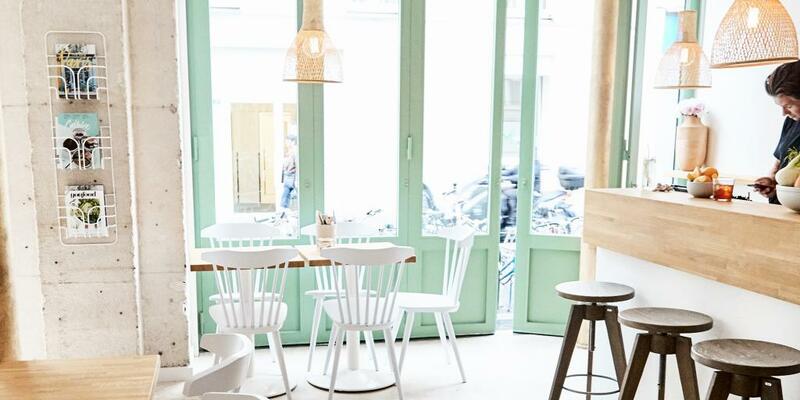 Located just off the Place de la République, Umami Matcha Café is your go-to for all things, you guessed it, matcha. 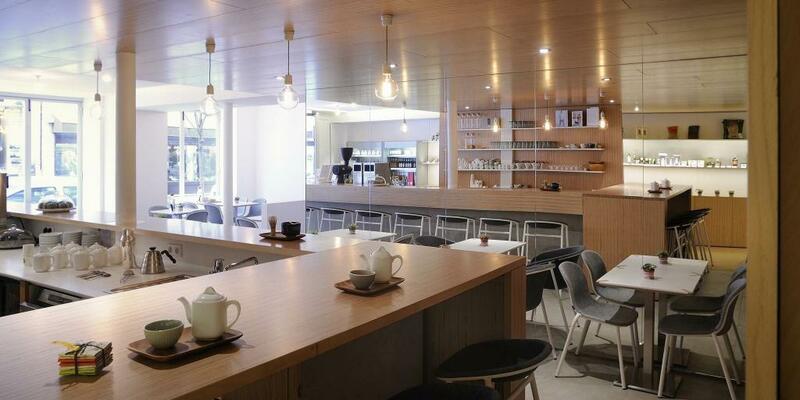 This quirky cafe specialises in introducing this green tea powder to France, giving Parisians a flavour of Japan in the heart of the city. They offer a range of different brunch menus centred around matcha at varying prices, so this place suits every budget. Their weekend brunch offering is the 'Matcha Morning' menu (€16), including a matcha brioche, yuzu granola, fruit salad and a hot (think matcha latte) and cold drink. On Sundays two additional menus are on offer, the 'Veggie Brunch' which includes savoury Japanese tofu and miso veg (€28), and the 'Umami Brunch' which includes teriyaki chicken and sesame vegetable tempura. If Hello Kitty shaped toast and cute patterned bowls are your thing (yes please! ), this is your brunch spot. Opening times: Brunch is served from 11.30am - 3pm Saturday and Sunday. If all-day brunch is more your kind of thing, head to Muscovado. Just a short stroll from Bastille, this spot is ideal to satisfy those 4pm breakfast cravings. The menu is short and sweet, including pancakes with bacon jam (€10.50), avocado on toast with sumac (€10) and French toast with apple compote (€11). All-day brunch definitely means it'll be a suitable time to follow up with one of the desserts du jour; guaranteed to be amazing seeing as the sisters that run the cafe have impressive pastry training. Oh, and the coffee is top-notch too. Opening times: 9am to 5pm Thursday and Friday, 10am to 5pm Friday to Monday, and closed on Tuesday and Wednesday. Vibe: Light and airy space tucked away on a side street. 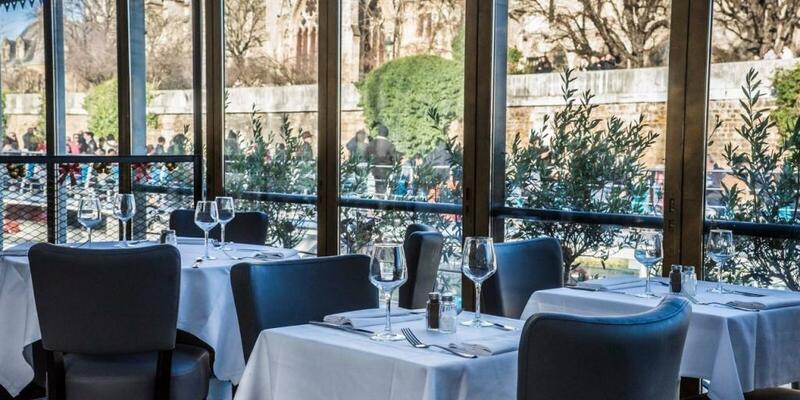 Situated in walking distance to the Pompidou Centre, Café Méricourt is a contemporary cafe serving a varied brunch menu. As well as offering the classics including granola (€11.50), pancakes (€11.50), and pastries (€3.50 - €6), their green eggs with feta and shakshuka (eggs baked in a spicy tomato and red pepper sauce) give the menu a deliciously quirky twist (both dishes are €10). Opening times: Brunch is served daily from 9am - 3pm. Vibe: Zen atmosphere in a natural setting. 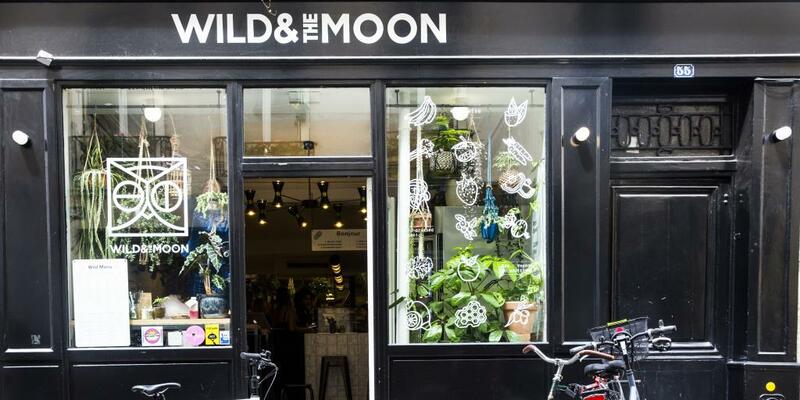 Wild and the Moon is a plant-based restaurant on a mission to promote ethical, natural living for a healthy mind, body and soul. Their vegan menu also aims to support biodiversity, promoting the importance of using organic, locally sourced ingredients in urban environments such as Paris. Serving all the foodie favourites of the moment, their all-day menu includes avocado toast (€4.50), acai bowls (€10), granola (€10) and a range of cold-pressed juices (€5.50) and colourful lattes (€6). Filled with natural wooden furniture and leafy plants, this health-conscious cafe is sure to give you a boost to set you up for the day. Opening times: 8am to 10.30pm Monday to Friday, and 9am to 10.30pm Saturday and Sunday. 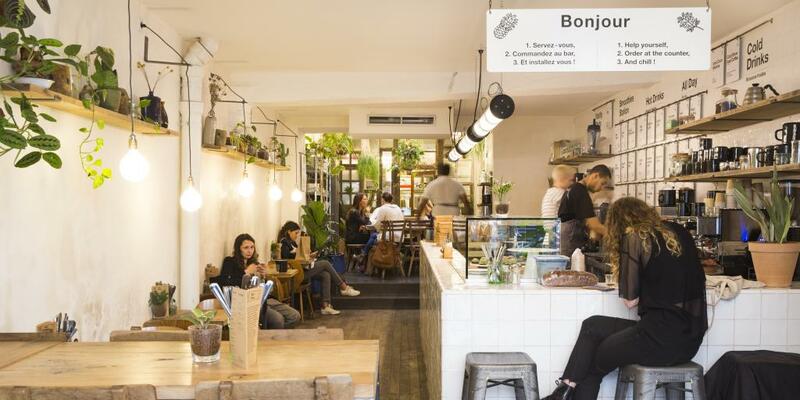 Modern vegetarian cafeIMA, located on the hipster Canal Saint-Martin, is a stylish space where you'll be greeted by a counter full of colourful salads, and a friendly atmosphere buzzing around its communal tables. Breakfast at this spot is a choice of six dishes: homemade granola (€7), a passion fruit tapioca bowl (€6.50), red or green shakshuka (€10.50), and sweet fruit (€10) or savoury poached egg (€10.50) pancakes. The word 'ima' in Hebrew translates to 'mum' in English, so expect wholesome, comforting food. Opening times: 8am to 6pm Monday and Tuesday, 8am to 10.30pm Wednesday to Friday, and 10am to 10.30pm Saturday and Sunday. Okay, so we know that this isn't strictly a brunch spot, but sometimes in Paris the best option for a late morning snack is grabbing a pastry at one of the many bakeries across the city. Pain Pain on the hill in Montmartre fits the bill for this speedy brunch, with owner and past winner of the best baguettes in Paris Sébastien Mauvieux freshly baking a range of beautiful pastries and breads. This aesthetically pleasing blue bakery is really reasonably priced, with pastries starting at just €1.10, making it really hard to just buy one… Either grab-and-go and enjoy as you walk, or take a seat at one of the few tables and soak up the bustling atmosphere of the shop. Opening times: 7am to 8pm Tuesday to Saturday, and 7.30am to 7.30pm on Sunday. Closed on Monday.